Linn Akurate 2200 review | What Hi-Fi? 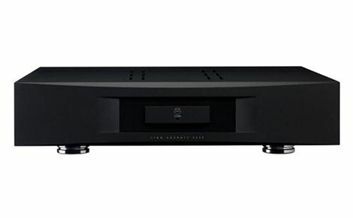 The Linn Akurate 2200 won't impress those who judge a power amp by its heft, or indeed by its equipment-rack presence. It's an identical size to the Akurate DS media player and Akurate Kontrol preamp with which we tested it, and weighs a whisker under 6.5kg – not that far off a typical budget integrated amp. In fact, it doesn't even look much like a power amp: no light-show on start-up, no finger-catching heatsink fins down the sides or to the rear – and that's despite delivering 200W into 4 ohms, or 111W into 8 ohms. In fact, the heat is dispersed through the front panel, but then there's not too much to disperse: this is a cool-running amplifier. That compact size and even temperament – and indeed temperature – are greatly to do with the Linn technology under lid: like the other power amps in this range, the Akurate 2200 is based around Linn's Chakra amplifier technology, and powered using the company's Dynamik switch mode power supply, which is also found in other Akurate components. Chakra is designed as a 'high-efficiency ultra-linear power amplifier technology, which ensures superior levels of responsiveness, efficiency and reliability whilst producing less heat and lower distortion than traditional designs.' Want to know more? You can download Linn's Chakra white paper (link opens a PDF). The 2200 is one of three amplifiers in the Akurate range: this is the two-channel version, but you can also buy a three-channel 3200 and a four-channel 4200 (seen below). All are exactly the same size; all deliver the same power per channel; all can be supplied with either standard phono inputs or balanced XLRs. Used with the Akurate player and preamp, and running into the Akurate 242 speakers, the 2200 delivers a clean, precise sound: it's not what you'd call the most relaxed listen, but there's no denying the amount of detail and information being presented. The system’s sonic presentation is very clean and precise. There’s an underlying tautness to the sound that doesn’t always result in the most relaxed listen, but gives the overall presentation an impressively stable structure. There's power, precision and composure, plus a fine sense of space around instrumental threads, even though the soundstage is less expansive than we'd like, and there’s less sense of depth in the presentation. In hi-fi terms this is a deeply impressive sound, with fine insight coupled to exceptional control and authority, but for all the analysis, punch and precision a bit more fluidity and exuberance wouldn't go amiss. That said, for delivering so much sound from so compact a package, the Akurate 2200 is pretty impressive.